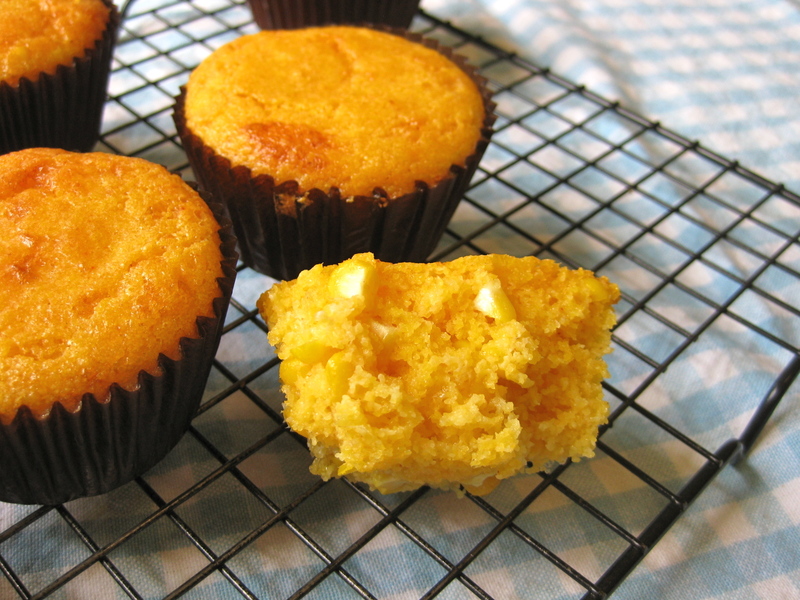 Cornbread is not something Aussies make. I don’t know why because I am sure, on the whole, we would like it. Whether it’s with chicken and gravy or served up with Thanksgiving meal, cornbread is something we developed a love for on our trips to the US. I tried it for the first time today and I am so please with the results I wanted to share it with you all ASAP. I made mine into muffins, easy to eat and freeze! 1 or 2 corn cobs, kernels shaved into the bowl. Put the polenta, salt, spices and baking soda into a bowl, mix. Put everything else into another bowl and mix. Blend the two, until just combined. Pour into about 6-9 muffin cases (depending on the size you want).